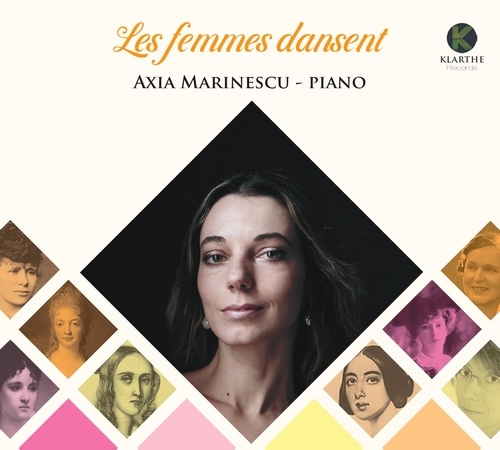 A concert pianist “who shows lyrical and plastic keyboard artistry” (Opera Magazine, Paris), Axia Marinescu features a “strong personality and an authentic soloist character, accompanied by a clear and colourful sound” (Théodore Paraschivesco). Axia’s remarkable talent was recognized when she was very young, as a winner of numerous awards at international competitions. Axia Marinescu made a precocious début at the age of 11, with the Romanian National Radio Orchestra in Bucharest, being described by the critics as “an incredible young pianist sharing with Mozart the spirit of genius”. 2018-2019 season highlights include a China tour, as well as a series of recitals across Europe. Her new CD Introspections dedicated to master-pieces by Mozart, Brahms and Debussy was recently released under the french label Polymnie and received enthusiastic reviews from both public and critics.